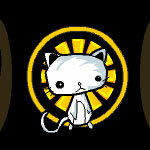 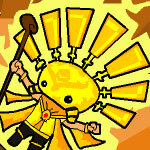 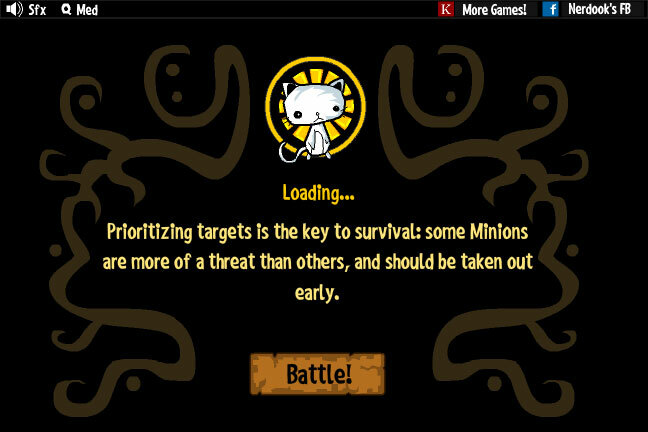 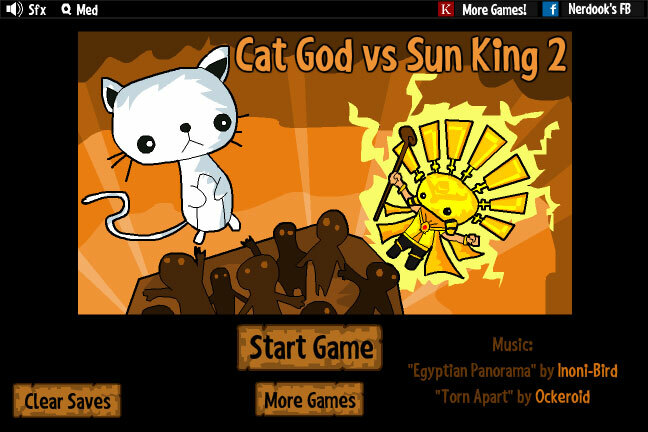 Play as a Cat God to defend your position and eliminate the Sun King and his minions before they reach your position. 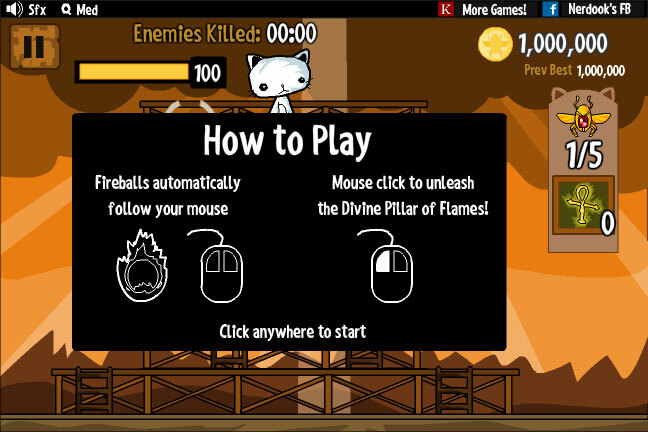 Use fireballs, a Divine Pillar of Flames, meteors, sandworms, locusts, and more to burn your enemies into ashes. 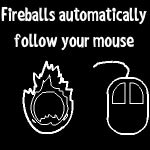 Use your MOUSE to control the direction of your fireballs and CLICK to unleash your ultimate skill. 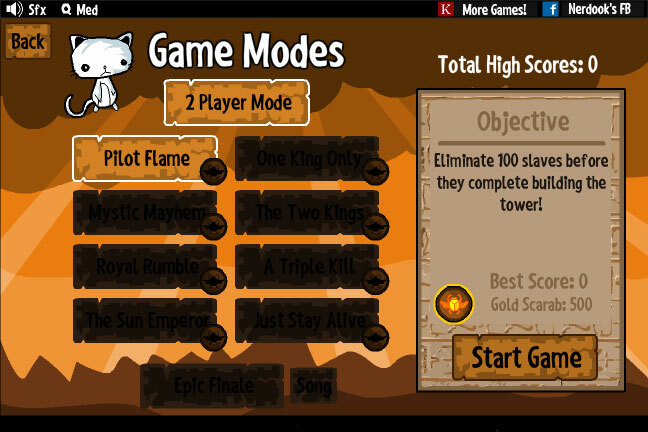 Collect gold coins for each kill and use it to upgrade your skills in the menu area. 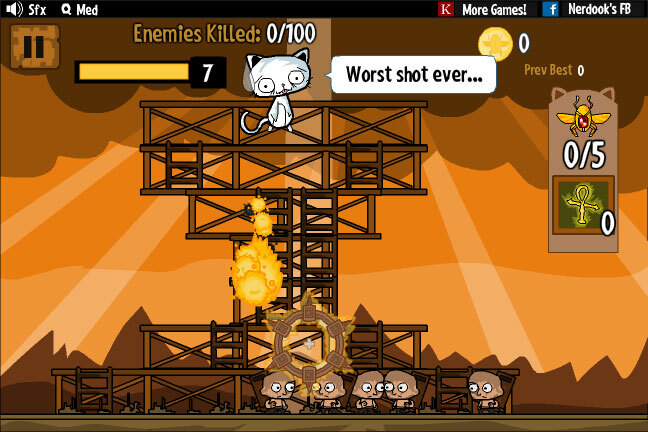 Some of your enemies have arrows and fireballs so do not let them reach higher or they can shoot you down.